Today’s Secret Ingredient for Friday Foodie Fix is your Father’s Day Favorites. Not exactly a single ingredient but and important one this weekend for those of us cooking for a dad in our lives. I will be cooking for my husband, the father of our two boys. He’s a great dad. He has requested my new Individual Lasagna. I promise when I make it this time I will take photos and write down the ingredients. Boy, it does taste good. Who's the bigger kid, me or my dad? I wish my dad lived in the same town as me so I could cook him dinner too. I was really lucky I got to grow up with him as my dad. Not many kids get chosen, but I was. You would never know that I was not biologically his daughter. For one we had the same brown hair and our eyes changed color according to our mood. He taught me a lot about life and sports. I’m a huge sports fan thanks to him. He’s worked really hard for everything he’s ever owned and made my start in life a little easier. But he taught me about hard work and any job worth doing is worth doing well. He’s a really tall guy over 6 feet tall to my 5 feet, but he’s a softy at heart even though he’d never admit to that. I could always count on dad. When I was young he would play games with me for endless hours. He taught me how to play softball and how to cut the grass. I think the later was so he could get out of that job for a while. I hope this weekend he’s sitting on the beach and enjoying a nice sea breeze. He’s a great dad and I’m really lucky he choose me to be his daughter. So what about you? I’d love to hear something about your dad too. Are you going to make a favorite for him? What about something for your husband? Please use Mr. Linky to share your link for your Father’s Day Favorite foods. Don’t forget to link back to this page on the page of your recipe. Lets share the link love. 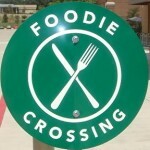 For all of the rules please check out the Friday Foodie Fix page. Next week’s Secret Ingredient is ……raspberries! One more thing before you start adding recipes. Shauna, the Gluten-Free Girl, has submitted a video to have her own show on the new Oprah Channel. Please go vote for her show! Voting ends July 3rd. You can read how this came about on gluten-free girl and the chef. Now, please, leave your link here for your Father’s Day Favorite. I'm making my daddy pulled pork! He has always been in love with BBQ. The way he "waxes poetic" about food make me realize just how much we are alike! I love him! Katrina- yum that sounds really good. 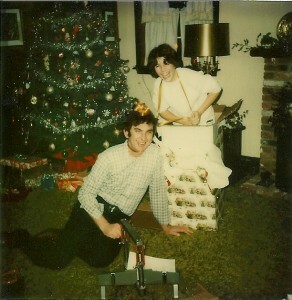 I think it's fun to see how much we are like our parents as we grow up and what we have in common. Absolutely, Diane. I was looking through my recipes, and realized that I got several of them (or at least the ideas of them) from my Dad. So, I included one of his favorites (Creamed Eggs). I linked to my 7-layer salad because it’s one of my husband’s favorites. In fact, I created it only because he kept asking me to make one. He gave me a list of vegetables he thought would be good in it, and I came up with the dressing.